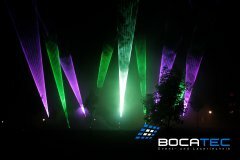 With one of our laser show specially designed for your wedding – it will become a beautiful remarkable event. Most important thing at weddings – it must be unique. You will get a unique wedding when you present your guest something special - something most of them never have seen before and something they will never forget. 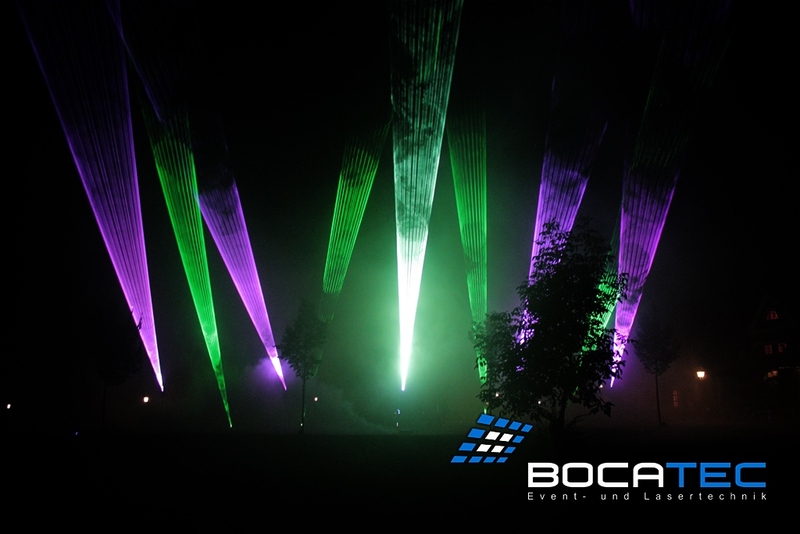 Laserworld’s event and laser show service offers here the perfect item that will make your wedding day unforgettable for everybody: a laser show that is only made for your special day! 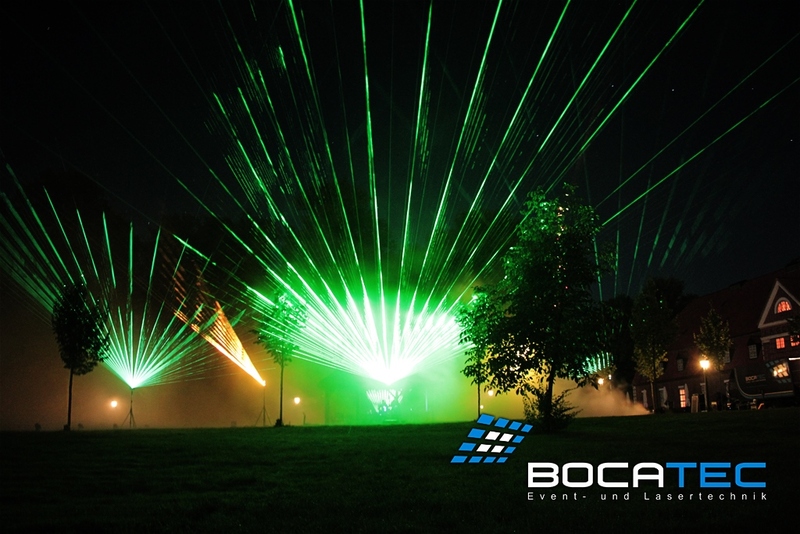 There are lots of opportunities to present a laser show at your wedding: Indoor as well as outdoor; at daylight or as a highlight at the end of a fantastic day at dusk or night; whether during the ceremony or beside the wedding dinner. You don’t want that your guest remember your wedding dance as common and familiar, but rather matchless? 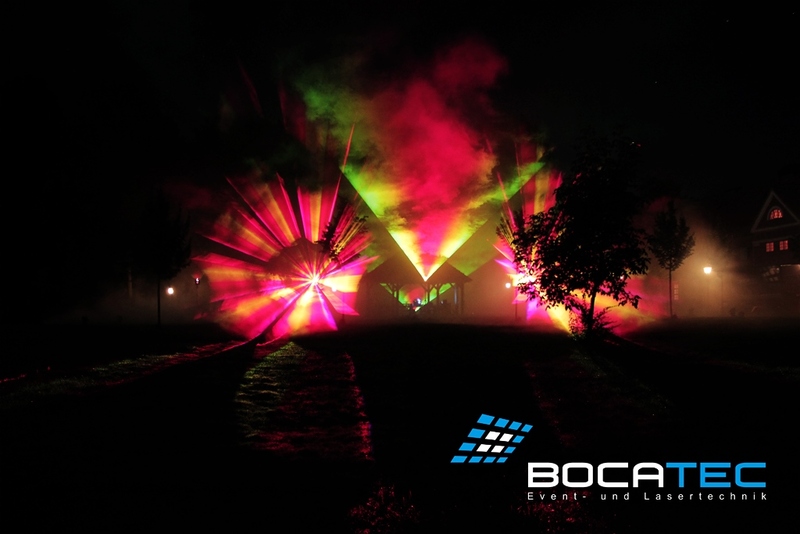 Then choose a laser show for your first dance as bride and groom. 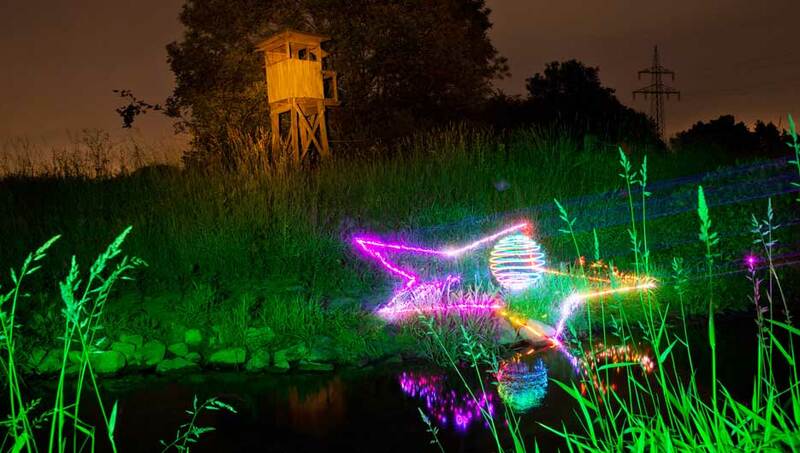 Usual spotlights are out – show laser lights are in! 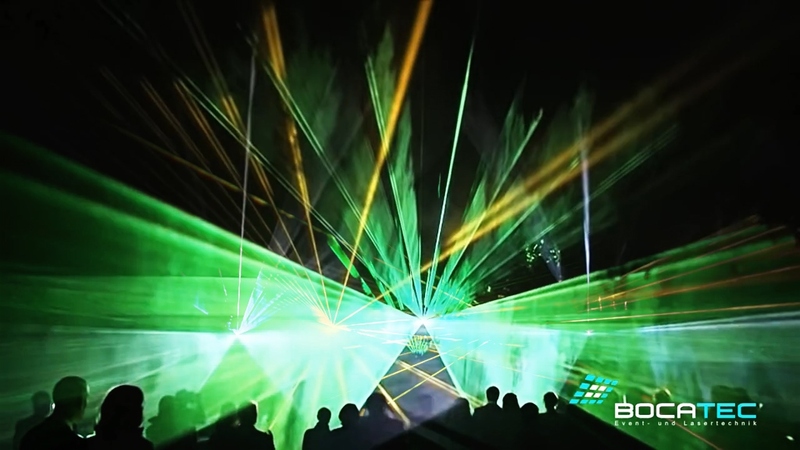 You can dance in between your unique laser show, in front of a projected starry sky or even in front of one of our water screens, on which laser beams twinkle like millions of little diamonds. Take your guest on a journey to a miraculous world, in which all is just about your wedding dance. 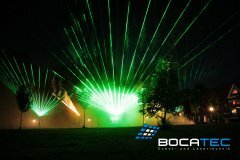 With the extra use of fire, haze and/or pyrotechnics your designed laser show will be even more impressive. Beginning at just 2.000€, you can make your wedding an unforgettable experience. In order to perfectly stage this fascinating laser show from finding the perfect scene and constructing your special laser show to all logistical matters only our best employee work on this topic. We also work together with long-term partners, who use Laserworld, SwissLas and / or RTI systems. 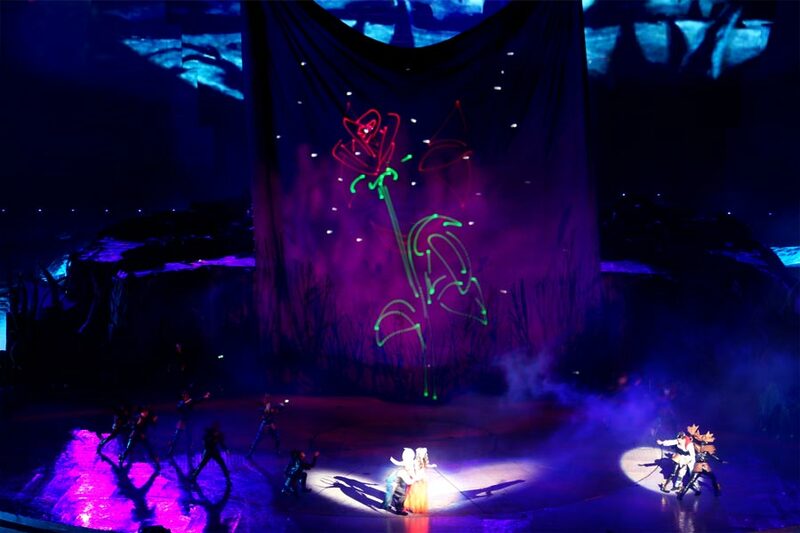 Furthermore all our laser shows can be arranged short-term and worldwide.